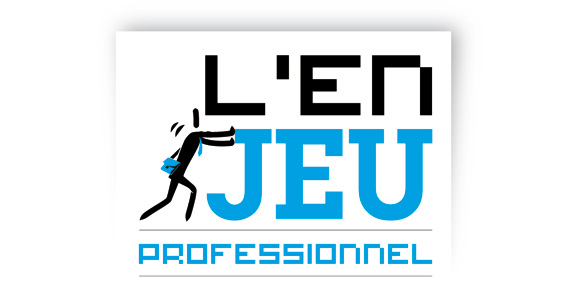 L’Apec propose un serious game, réalisé par KTM Advance, autour de 5 scenario dont l’objectif est de se former à la gestion de sa carrière professionnelle : L’En-Jeu Professionnel. L’apprenant, confronté à différents obstacles extérieur, a pour objectif de trouver les objets qui le débloqueront de ces situations et ainsi finaliser le jeu. Jeu un peu « fragile » et lent…après 3 minutes de jeu, j’ai réussi à le faire buger… Cependant, et là j’étais bien contente…. après avoir relancé mon navigateur, le jeu m’a demandé si je souhaitais reprendre où je me suis arrêtée! Bon point! Le point fort de ce Serious Game est sa viralité… Effectivement, l’APEC propose aux entreprises d’équiper leur propre intranet de ce jeu. Chaque scénario se joue en 25-30 minutes : une phase de jeu, un quiz de validation des connaissances, et enfin la proposition de ressources documentaires sur la thématique traitée. f8Pues a mÃƒÂ­ me van a encantar, porque la coliflor es de mis verduras favoritas y las especias me vuelven loca asi que me ha gustado muÂmƒÃc­siho tu receta!! Sin duda, voy a probarla! Un besito! August 20, 2012 at 8:44 pmnot working for me mate. pulled trackball out, it was already VERY clean, used alcohol, tried replacing trackball, nothing works. basically sam problem that ur blackberry produces except clicking the track ball does nothing either. it actually clicks however so i didnt need to fix the oyster.ï»¿ even tried replacing the trackball… any other ideas? L’alcool c’est de l’eau !!! eres biÃ©n bella por fuera; Â¿ pero comÃ³ eres en el espÃ­ritu?. si eres bella por fuera y tambiÃ©n en tu interior tendrÃ¡s amigos verdaderos que te amen por lo que eres y no por la fama que tienes; sigue con esa alegrÃ­a tan contagiosa, porque asÃ­ demuestras mucha sabidurÃ­a. no te conozco pero siento que ya te conozca. cuidate mucho hermoza niÃ±a y cuida alos que te rodean. April–Is it possible that you are mistaken in believing that the problem with conservatism is ineffective communication? Could it be rather that we have actually lost the culture war, and that the American people actually want to be perpetual children under the control of an omnipresent nanny state? What if the American people don’t care about what is better in the long run so long as their shot-run wishes are fulfilled? To paraphrase your Captain (whom you love), we may be on the right side, but it is the losing side. "They have agreed to talks about talks. "This is the type of thing I expect to read about the USA/North Korea, Israel/any Muslims country, Greece/Turkey. How magnanimous of them. This is basically telling a very large part of the Netherlands that they will let them out of the ante-room for a brief audience. What unmitigated gall! And they dont even see it! "There is nothing in archeology that indicates that Scandinavia were ever behind the rest of the world when it came to technology from the Bronze age and up. "The sort of high density agrarian societies that were the foundation of civilization in Egypt, Fertile Crescent, Ganges, Yangtse etc weren't possible in northern Europe until the middle ages – so circa 2,500 years later.It's not a criticism it's an interesting difference which may provide potential explanations for all sorts of things. I don’t think it’s right for someone who relies up me to pay for their f’ing food and shelter via an implicit gun pointed at my head should insult me and wish people who think like me dead, and then demand via that same implicit gun that I continue to pay for the privilege.